Los Angeles (AFP) - Gennady Golovkin has renewed his assault on Saul "Canelo" Alvarez ahead of their long-awaited middleweight rematch on Saturday, accusing his Mexican challenger of being a drugs cheat. Undefeated middleweight king Golovkin will climb into the ring with Alvarez at Las Vegas's T-Mobile Arena on Saturday, one year after they battled to a controversial draw at the same venue. A planned rematch for May 5 was canceled after Alvarez twice tested positive for the banned substance clenbuterol and was subsequently hit with a six-month suspension. 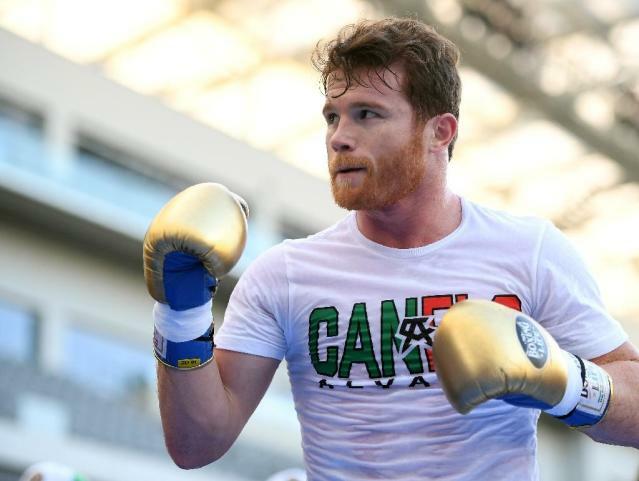 Alvarez insists the two failed drugs tests were the result of eating contaminated meat in his native Mexico, and has angrily denied accusations of doping. But Golovkin, who has been openly skeptical of Alvarez's explanation, again rubbished the Mexican's version of events after the two fighters arrived in Las Vegas on Tuesday for fight week. "I don't believe it was beef," Golovkin said. "I don't believe his stories about contaminated meat. Experts in pharmaceuticals determined that it was doping not contaminated meat," he added through an interpreter. "These stories about contaminated meat are nonsense." Golovkin said he had been shown photos of Alvarez in which he claimed needle marks were visible. "You couldn't deny there was some injection marks on his hands and his arms. Injection marks were evidently there," the WBA, WBC and IBO middleweight title holder said. "Everywhere, biceps, stomach, pretty much all over his body you could see injection marks. "But right now it's the last thing I'm worried about. I'm worried about the fight." 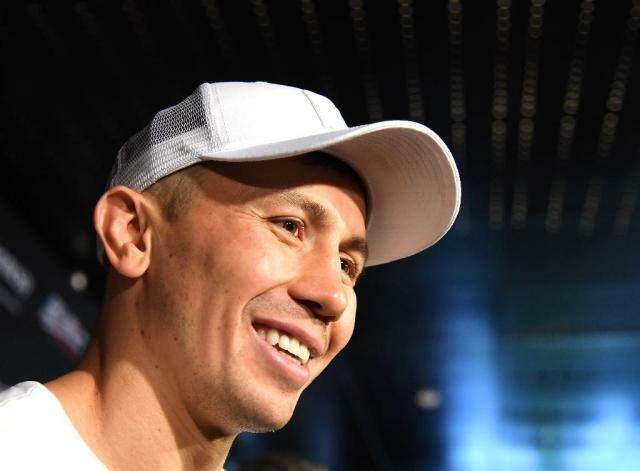 Golovkin, 36, said the doping scandal had soured relations between the two fighters, which had been cordial in the immediate aftermath of their first meeting. "After the first fight I remember saying to him 'Thank you for the fight, great fight'. He said the same. It was all very friendly," Golovkin said. "But after the doping scandal, it was terrible." Alvarez, 28, meanwhile dismissed Golovkin's allegation of doping. "Those are the kicks and screams of someone who is drowning. Those are the excuses that they are making because of what is coming on Saturday, which is a loss for them," Alvarez said. "I've been monitored for most of my career, I've been monitored by VADA (Voluntary Anti-Doping Association) since 2011 and that's why they have authorities," Alvarez said. "I spend all my time in Mexico -- that's where I reside, where I live and where I spend time with my family. When I come to train, I come and do it in San Diego. "It's different in the United States where (meat) is checked by the authorities and the government. It's a little bit different in Mexico where they don't have those sanctions and checks. "When I was in Mexico I wasn't on a diet, I wasn't training, I wasn't on some eating plan so may have eaten it a few times a week. In Mexico, unfortunately, I now have to stop doing that because of what happened." While Golovkin has insisted that this weekend's bout is "business, not personal", Alvarez admitted the questioning of his integrity had got under his skin. "I'm bothered by all the stupid things they've been saying and I've been using it as motivation in my training for this fight," said Alvarez. "Maybe they said it to get me mad, and you know what, they did it. I'm angry, but I'm going to use it my favor for this fight. "After the first fight, I saw the errors that I made, and what I have to do. I made a complete, radical change and you're going to see that this Saturday."